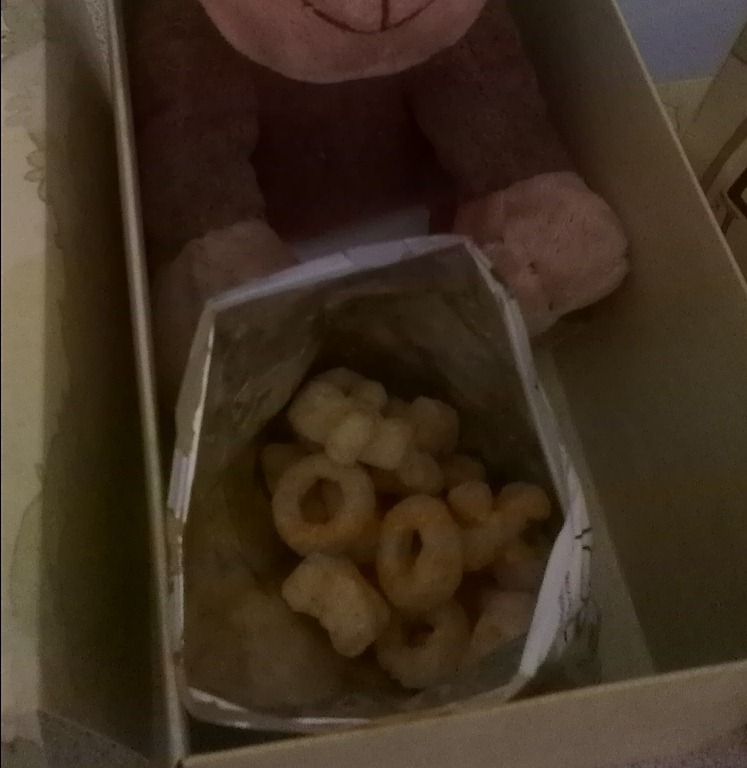 On returning from holiday we discovered a parcel had been left for us, a rather special parcel from Walkers Crisps that contained their new baked snack Hoops and Crosses along with a cheeky looking friend. Isabelle was immediately drawn to the new furry friend which she greeted with some pretty impressive monkey calls before she realised that there was also a tasty treat inside the box. The Hoops and Crosses are available in three different flavours, Prawn Cocktail, Salt and Vinegar and Beef (all of which are suitable for vegetarians!) 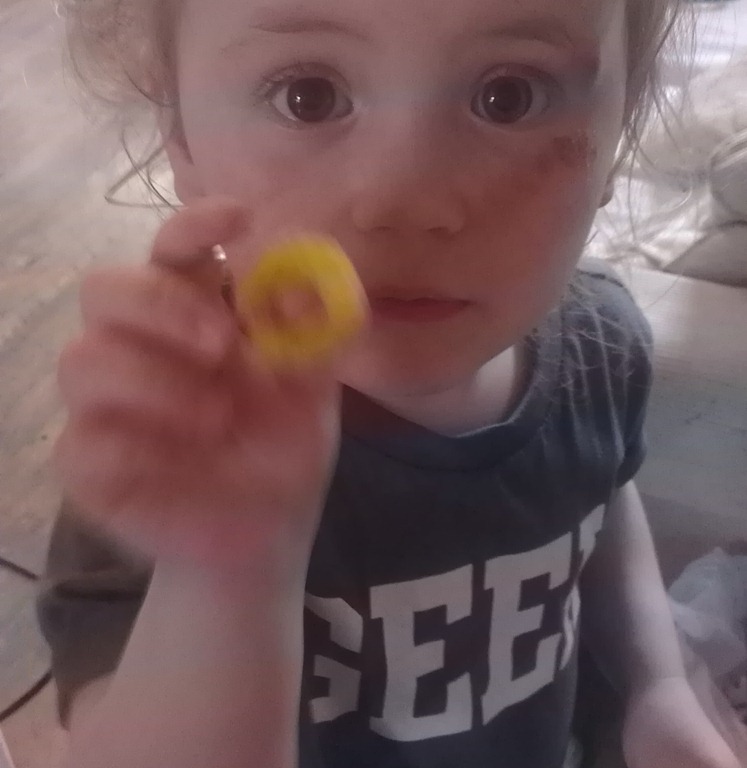 We were sent out a sample of the beef flavour to try and Isabelle was quick to tuck in, luckily I was offered a few to sample before Isabelle ran off with the remainder of the packet. We found them to be packed full of flavour whilst providing that crunch you expect from a good crisp. The wholegrain snacks are formed in the shape of hoops and crosses and contain no artificial colours, preservatives or MSG. As they are baked and not fried it means they contain 30% less fat than standard crisps resulting in just 85 calories per bag, a healthier snack for you and your little ones and perfect for the lunch box. 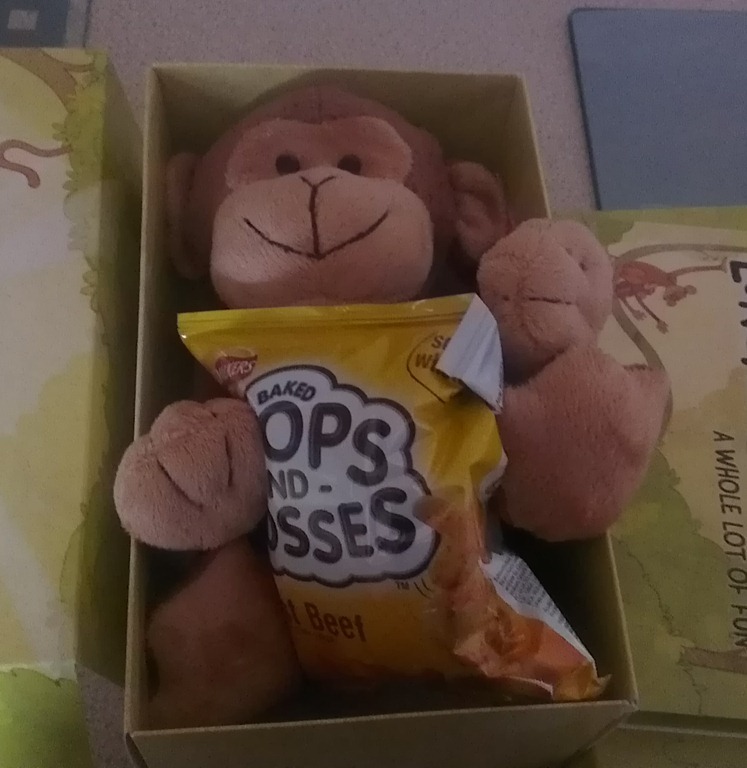 We were sent out the sample packet of Hoops and Crosses to review on behalf of Walkers as well as a cash payment. This does not affect our opinions, all thoughts and words are our own.